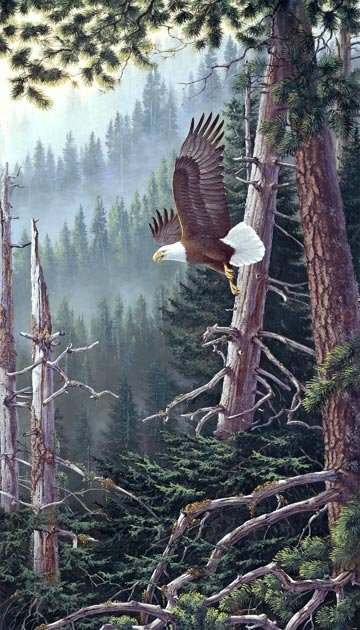 24" Digitally printed panel features a bald eagle flying above the forest. From the Naturescapes Beyond the Forest Collection by Northern Promotions for Northcott Cottons. 44"-45" wide. 24" Panel.